Over 150 government officials, business leaders, military personnel, and students attended the ninth annual Vimy Reception at the stunning Embassy of France on Vimy Day, April 9. Thank you to our host, Her Excellency Kareen Rispal, Ambassador of France to Canada, and to our guest speakers: R.H. Thomson, President of The World Remembers, and Katie Quinn, 2018 Vimy Pilgrimage Award winner. The generous hospitality of the Government of France, combined with the opportunity to share many personal stories about Vimy, made for a memorable experience. This year’s reception was the first we have hosted on Vimy Ridge Day itself, April 9. Public awareness of Vimy has grown significantly since the Government of Canada formally declared “Vimy Ridge Day” in 2003, and we are so pleased to be able to provide opportunities for Canadians to take part in its commemoration each year. Thank you to Evan Runge for the beautiful violin music. Thank you to the 137 Ashbury Royal Canadian Dragoons Army Cadets who were able to join us again this year. 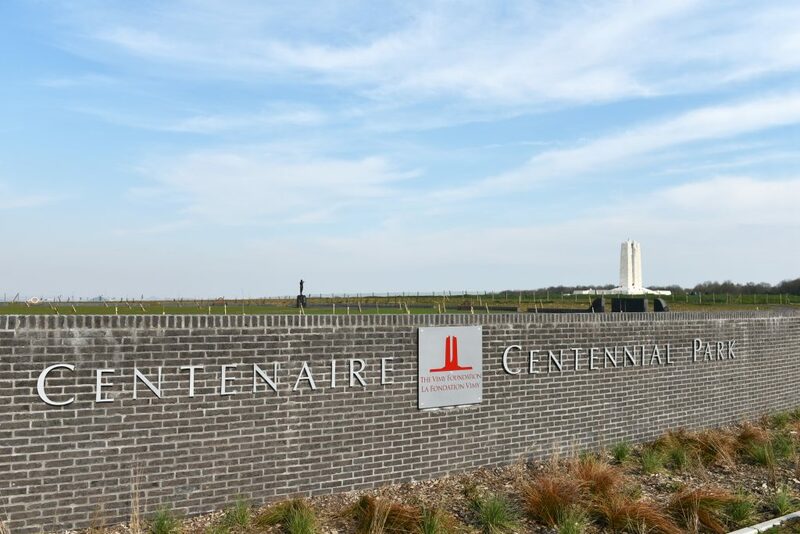 The Vimy Foundation is proud to announce a Canadian student design competition by an individual or a team, for a water feature for the Vimy Foundation Centennial Park, Vimy Ridge, France. This element is proposed to be unveiled in 2020. The design competition and installation of this design in the Vimy Foundation Centennial Park is sponsored by The Love Family Foundation and is organized by the Vimy Foundation. Submission: A 3-D illustrated design concept, and all detail design and construction drawings and specifications to permit manufacturing, assembly, construction and installation in France. Questions? Contact us at info@vimyfoundation.ca. 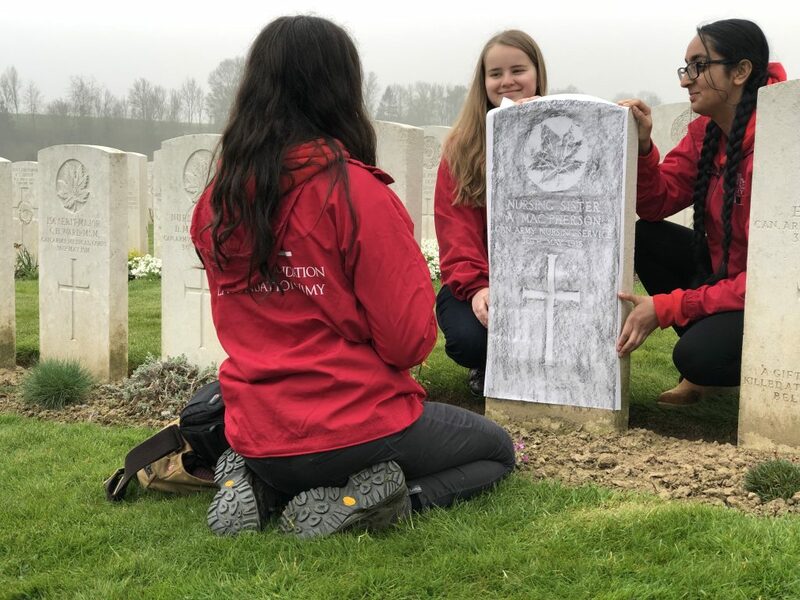 The program provided a modern perspective to the First World War, as while the devastation of war was a prominent theme, topics of present day reconciliation were also addressed, which is not always the case in school. This experience completely transformed my perception of the First World War and truly taught me that this legacy is all of ours to remember. Le programme a dépassé mes attentes; nous avons eu la chance de partager des opportunités fantastiques avec 20 Canadiens qui viennent de partout au Canada et qui étaient gagnants du Prix du pèlerinage de Vimy. This program has been such a life changing experience; I have learned and acquired more information in a week than any history class could ever teach me. Le programme m’a menée à porter un regard différent sur la Première Guerre mondiale et m’a permis de rencontrer des personnes exceptionnelles : cette expérience a été fantastique ! Ce programme a été immensément amusant, et j’ai absolument adoré tous les monuments, cimetières et musées. I was so honoured to be able to take part in this program- in which I was able to gain so many new perspectives about Canada and the First World War. The program not only exceeded my expectations, but it opened my eyes to the atrocities of the first world war- especially the casualties from both sides. During the Vimy Pilgrimage Award 2019 I learned so much about the First World War and I will never forget this experience- I can’t wait to share my stories about this amazing program with others. 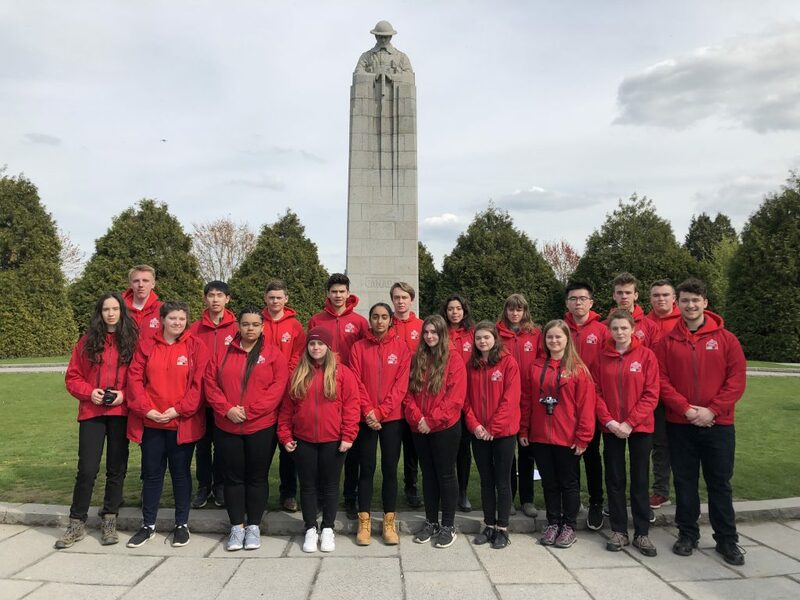 The Vimy Pilgrimage Award program creates the perfect learning environment for youth, welcoming them into an open environment that emphasizes remembrance and respect for the First World War and the people who served in it. This experience has been truly amazing; I now have a different perspective on the First World War and know that the legacy of the soldiers must be remembered by all so that their sacrifice was not in vain. The Vimy Pilgrimage Award has been everything I hoped for; learning about Canada, fostering a greater appreciation for the sacrifices made during the First World War, visiting important gravesites, and making new friends from across Canada – overall an experience I will never forget and will always cherish. Through all the cemeteries, museums and monuments, I learned of the many social and cultural effects of the First World War and their effects on both Canadians and the rest of the world. The Vimy Pilgrimage Award helped me gain a deeper level of understanding on how to approach and analyze history; because we were taught how to think, not what to think. I learned so much from this program including how to think critically and how to consider multiple perspectives of the First World War. Reflecting on the week as a whole, I’ve grown drastically with my critically thinking skills as well as communication. To be there, on the battlefield where history took place 102 years ago adds a new sense of depth to my learning as well as my personal development. What an experience that has changed my life forever; I am so pleased to have been chosen for the Vimy Pilgrimage Award so I can learn so many things about the First World War and now be able to teach people about my experience and about what these men truly went through during those four deadly years. Comment décrire une expérience qui, en une semaine, nous fait développer des liens profonds avec des gens complètement inconnus, qui nous permet de comprendre la chance qu’on a d’être soi-même en 2019, qui fait énormément grandir et met un terme au passé sans jamais l’oublier et nous permet de continuer vers l’avant? It was an experience of a lifetime as I was able to learn about the history of the First World War, commemorate those who fought for our freedom, and make friendships that will last forever. Participating in the Vimy Pilgrimage Award has taught me much more about not just the First World War but also its consequences, and it has greatly helped to shift my perspective on understanding the importance of international relations in the past, present, and future. Today was an amazing day to finish the 2019 Vimy Pilgrimage. 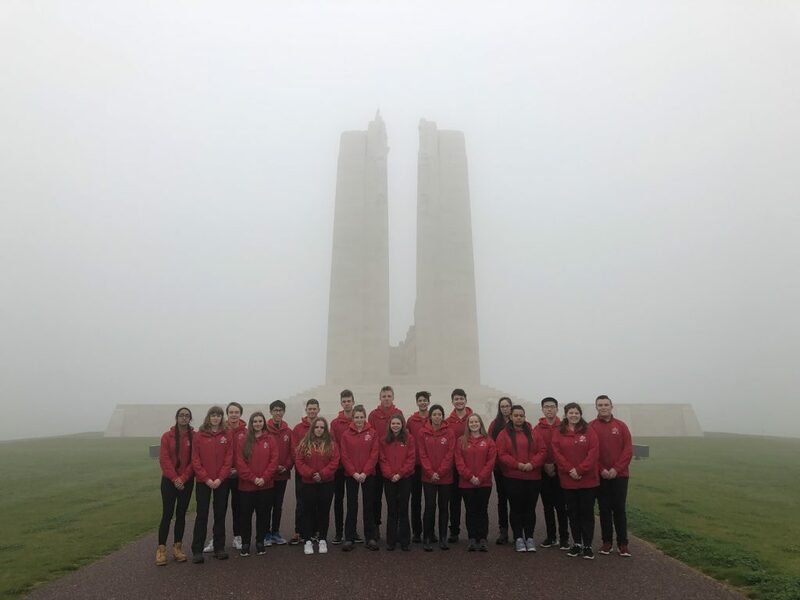 It started off with visiting the Memorial at Vimy Ridge, which has always promised to be one of the most spectacular sights of the program, and it did not disappoint. Many people who I spoke to before about their Vimy experiences said that seeing it can change your life, fill you with emotions, and overall profoundly impact you. I can now say this for myself, as today’s experience has been incredible. When we arrived, we took half an hour to experience the monument alone, undistracted by phones and people. During this time, I took time to reflect on why the monument is so incredible, and quickly realized it is not about the monument itself, but what is represents. 3,598 Canadian soldiers died on April 9, 1917 at Vimy, and 102 years later for so many young people to be in that very place, thinking about their sacrifice, is a testament that their memory will not be forgotten. Today near the end of the day I also had the most important part of the program for myself, which was visiting the grave of my relative Alfred Snow Churchill who died on April 9, 1917. I am one of very few, if not the first family member to visit his grave, and it is an experience I will always cherish. April 9. Vimy Day. The final day of the program. For myself, the day of my second, original soldier presentation. Private Fenton Brownell is the solider I wrote about in my application to the Award, and the soldier that helped to bring me here. After the Battle of Vimy Ridge Ceremony, we headed to a few cemeteries to finish up soldier presentations. Entering Nine Elms Military Cemetery in Pas-de-Calais, I could not help but feel slightly emotional as I knew that Brownell was now nearby. To see his grave, as well as that nearby of his brother, Charles, was a moment at which I realized I had been anticipating since I first found out that I would be heading to Europe. Detailing the life and death of Fenton and his brother, as well as another buried elsewhere, was something I can describe only as heartbreaking. I could never imagine losing two family members on the same day, and a third just months later. Reading aloud the fictional letter I wrote from Fenton’s mother to him, I felt my eyes water as I knew that while the situation I described may not have been a reality for the Brownell family, it surely occurred for many families affected by the Great War. I hope that by telling these stories and ensuring the legacies of soldiers are never forgotten, we can prevent such events from occurring again in the future. Today marked the 102nd anniversary of the start of the Battle of Vimy Ridge, a battle that would go down in history, textbooks and even passports alike. The whole week that we were in Europe, we learned about the importance of this battle as well as the history, controversy and debates behind the First World War. For the events today, the ceremony seemed surreal. I’ve seen the ceremonies, the events all on TV but to be there in person with the armed forces, dignitaries and veterans, it was truly an amazing experience that I will not forget. It was also a great feeling to finally hear our tour guides speak with a Canadian accent! Standing there at the memorial, it felt Canadian. The mist, the fog in the air resembled what I would typically see in British Columbia. It felt like home. I always try to imagine and put myself in the shoes of those who’ve been through these battles and these experiences. I certainly felt as if I was at home, standing on top of the carefully carved stairs. Maybe, I imagine, those soldiers would feel the same. Across the Atlantic, maybe, the battles felt Canadian. At the end of the day, today was an experience and a time of reflection for myself as well as my peers. Sometimes, we need to feel as if we were home in order to fight a battle far from home. Today was the pinnacle of the Vimy Pilgrimage program. Although I was aware of Vimy’s legendary status as the “birth of a nation”, I wasn’t expecting to be so profoundly affected by the sight of the monument. It was like a living thing, rising out of the fog. Plaques read around the pillars: dates, battles, names. Distantly, a bell tolls. As I stood there with these people I have mourned with, celebrated with, learned with over this past week, I was struck by the sudden realization that this is ours. In a time where all of our First World War veterans have passed, this is our history to live or let die. The past is written here, in the stone and the grass— its trauma and its truth. How do we give that meaning? How do we reconcile past and present— present and future? We gather in a circle around a headstone in a cemetery along a dirt road and learn about a life now long gone. We stand in a trench and hold an umbrella over each other’s heads. We descend eight meters down and trace stone once touched by people we once knew. I didn’t realize how much I had grown until standing beside Mother Canada at the peak of the Vimy Memorial. Before this journey, I did not believe that I had a place in Canadian history. Then I met Private Vincent Carvery and Private Aubrey Mitchell of the Canadian Expeditionary Force’s first and only Black battalion. They created a space for me in history. They are the reason why later, I was honoured to present the Commitment of Remembrance at the ceremony. As I overlooked the audience, I felt a swell of pride to be here on equal ground representing their legacy. As I gazed at my fellow participants, each symbolically holding with them soldiers or nursing sisters, I felt the weight of all their legacies now on our shoulders. I realized today that it’s not about the Battle of Vimy Ridge at all. The people we carry with us, the places we trace steps— the story that we are creating together. This is the power of the Vimy memorial. 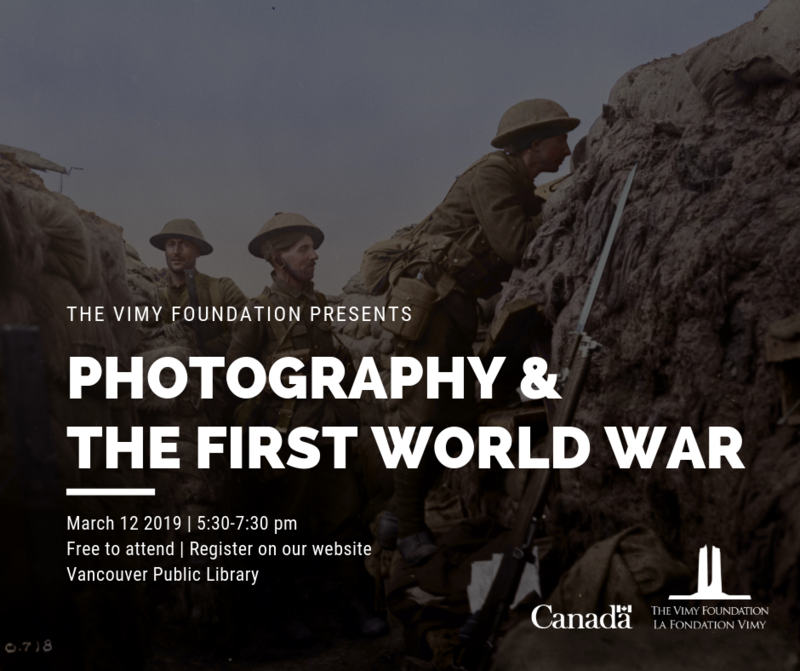 On March 12, 2019, historian and curator Carla-Jean Stokes of the Historic O’Keefe Ranch and expert digital colourist Mark Truelove of Canadian Colour spoke with guests at the Vancouver Public Library about photography during the First World War. She started the lecture by explaining why it is important to learn more about the individual photo. Once private photography was banned on the Western Front, Canada appointed official war photographers. Here, Carla-Jean Stokes explains how our official war photography began, and about the three primary photographers of the First World War for Canadian records. Canada employed three official photographers between 1916 and 1918—Captain Harry Knobel (from April-August 1916); Captain William Ivor Castle (from August 1916-June 1917); and Lieutenant William Rider-Rider (from June 1917-November 1918). Together they produced over 4000 photographs of Canadians at war that were printed in newspapers, sold as souvenirs and put on exhibition. Each of the official photographs has a negative number—usually visible in a corner—that begins with an “O” and is followed by the number it was received by the CWRO (O-1450 was the 1450th photograph received by the organization from the photographers). In 2015, the Vimy Foundation began a unique project: “The First World War in Colour”. We aimed to add colour to digital photographs from the First World War – both the official war photographs held at Library and Archives Canada as well as those from the home front, held by local archives across the country. The digital colourist who worked on this project was Mark Truelove of Canadian Colour. “When I first receive a photo the first thing I look at is the overall quality of the image. Many First World War photos are damaged and need to be repaired. This may involve fixing scratches, removing dust particles or correcting for fading. Once that is done I use any description that comes with the photo to figure out the time of year it was taken and if a date is known I will look up the weather on that date, which will help me later with getting the lighting right. 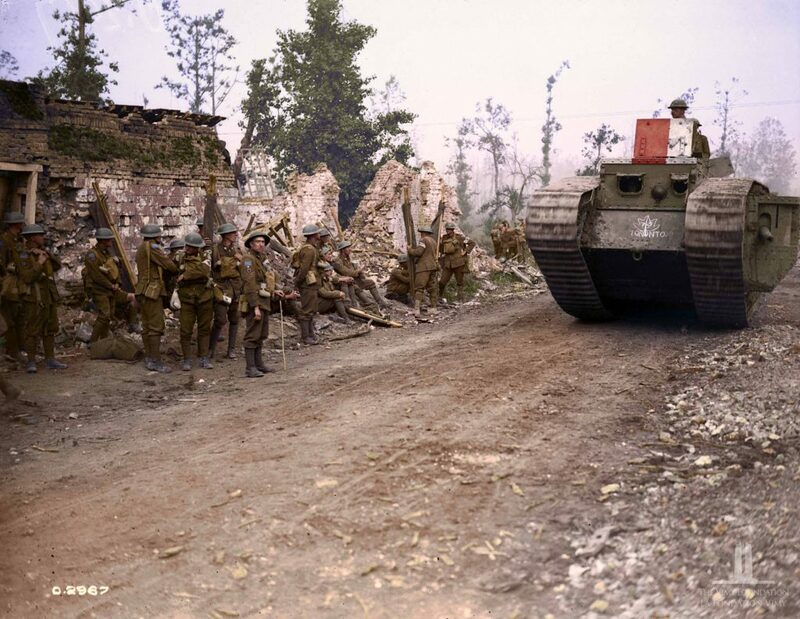 A Tank passing 8th Field Ambulance, Hangard. Battle of Amiens. August, 1918. William Rider-Rider. Canada. Dept. of National Defence / Library and Archives Canada / PA-002888 (modified from the original by Canadian Colour). — Carla-Jean Stokes brings up the issue of photo manipulation and photo staging during the First World War. Why do you think the photographers of the First World War would have done this? Do you think the public, seeing these photos, believed them to be true representations of what war was like? — Nowadays, people are more familiar with programs like Photoshop, and we are familiar with images being adjusted for magazines, for example. Do you think governments and politicians can ‘get away with’ manipulating photos that are shared with the public? Can you think of any recent examples? — We are used to everyone having a camera in their pocket on a smart phone. Imagine what it would have been like to have attempted a ban on private photography in 1916. Do you think soldiers were willing to leave their cameras at home? Do you think a ban on private war photography nowadays would be possible? — Imagine you were a war photographer during the First World War, sent over on your own with a camera to document what was taking place on the Western Front. What subjects would you be most interested in? For example, during and after the Battle of Vimy Ridge, photographer Ivor Castle took many photos of the prisoners of war. Why do you think he was more interested in the German prisoners than the Canadian casualties? — Colourizing photos, by necessity, requires the alteration of primary source documents. While all attempts are made to be as historically accurate as possible, there is no doubt that the photographs are changed. Use the Vimy 100 in the Classroom guide on ‘Photography in the First World War‘ to analyze the photos and the addition of colour. 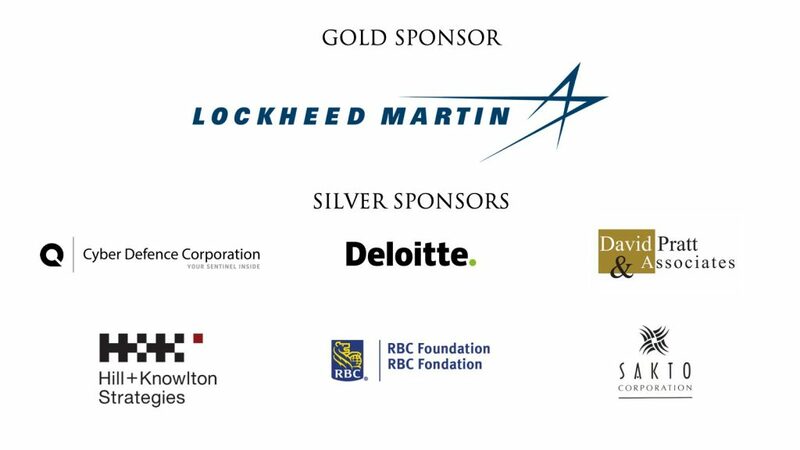 Thank you to the Government of Canada and the R. Howard Webster Foundation for their support of the First World War Centennial Speaker Series. 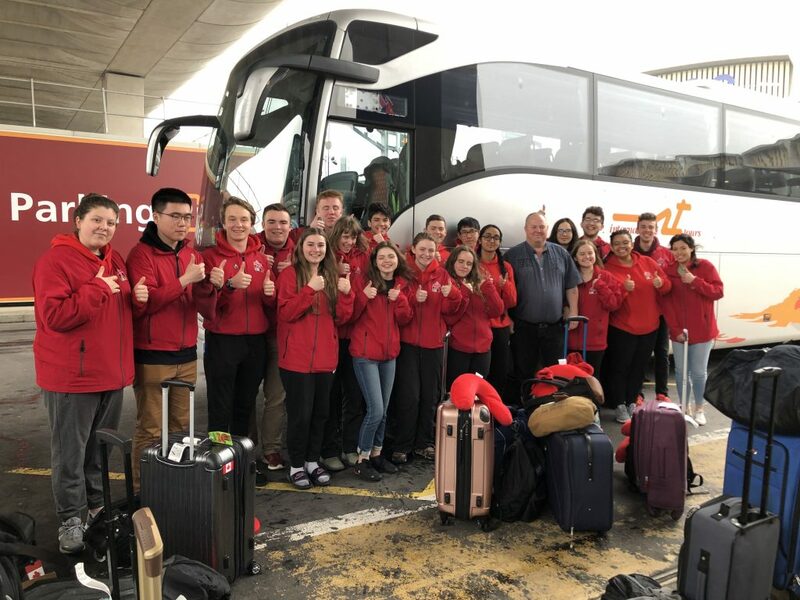 Still in France, our VPA 2019 recipients visited the Battle of Hill 70 Memorial and the Cabaret-Rouge Cemetery. 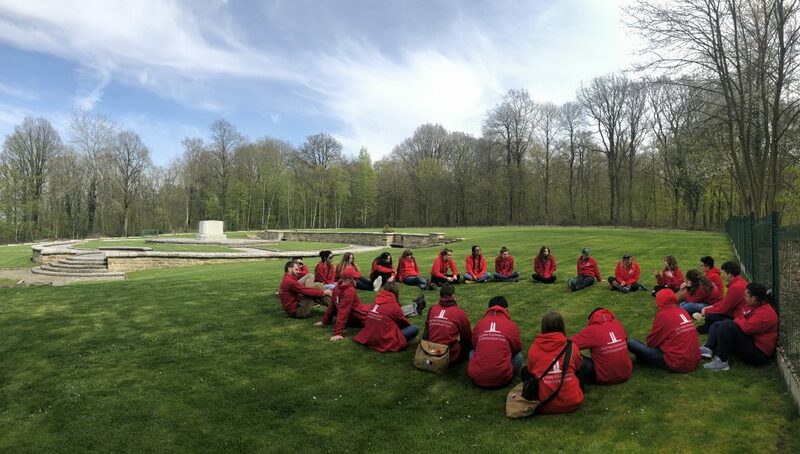 In the afternoon, the students visited more sites including the French military cemetery Notre-Dame-de-Lorette, the Ring of Remembrance, and Cherisy. Read the students’ posts about their experiences. (Please note: participants will blog in their language of preference). Aujourd’hui, nous sommes allés au Mémorial de la Côte 70. Je pense que ce monument était très intéressant à visiter parce que c’est un événement pas très connu. Le mémorial est dans un parc au nord de la France. Dans ce parc, il y avait un monument canadien qui a été créé cent ans après la guerre. La figure était située 70 mètres au-dessus du niveau de la mer pour représenter où la bataille était battue. Autour de ce monument, il y avait des petits détails qui représentent le Canada ; les feuilles d’érable et le drapeau du Canada étaient dessinés au sol. Quand on était en devant du monument, nous avons parlé de l’efficacité du monument. Moi, je pense que ce monument est efficace en termes d’être respectueux aux soldats qui sont morts. Mais, je pense que par rapport aux informations pour le public, le monument n’est pas efficace. Toutes les informations que j’ai apprises sur le monument ont été grâce aux accompagnateurs et accompagnatrices du programme. Un des buts de ce monument est d’éduquer le public sur une bataille, mais l’héritage de la bataille ne peut pas être compris par la majorité des personnes. Je pense que ce monument a un grand potentiel d’être efficace pour la commémoration d’une bataille oubliée avec quelques changements de présentation pour le public. 580 000 – a number that can represent the population of a village, city, or in some cases an entire country. But that number also represents 580 000 brave young men who were loved brothers, fathers, and uncles, all with stories to tell. The Ring of Remembrance pays tribute to these soldiers and the unique memorial makes no distinction between their nationalities and rank. Standing on the platform at the entrance, I was surrounded by panels decorated with the names of fallen soldiers. With every step, more names came into focus and a flood of emotions washed over me. Feelings of sorrow and sympathy were prominent throughout the visit and stayed with me throughout the day. It was also at this memorial that I recognized the names of fallen Sikh soldiers, for the first time, which added a personal connection to the experience. In addition to its ability to pay tribute those who sacrificed their life, the memorial extends to serve as a metaphor for the present day. Those who may have been enemies in past are now listed side by side, pointing to the trend of reconciliation between nations over the years. The Ring of Remembrance perfectly depicts the horrors of war but also illustrates humanity’s ability to move past tragedy, making it one of the most impactful sites I have visited during the program. Today we visited the Bagneux British Cemetery where Emma presented a tribute for her nursing sister. Bagneux, as I later found out, happens to be one of the only cemeteries with headstones of Canadian nursing sisters. I felt this was a really important monument because the service and sacrifice of our nursing sisters are generally less well-known and perhaps, less appreciated. This is despite the fact that nursing sister also faced the same risks of death and injury as well as tough living conditions. When I checked the registers of cemeteries across the Western Front similar to this one, most were last signed around November 2018! The similar fact that 20 students from the homeland of nursing sisters travelled all the way to France to commemorate and honour the nursing sisters is actually really special. This cemetery may not have even seen 20 visitors this entire year! I am extremely grateful to have this privilege of doing so, and look forward to presenting the soldiers I’ve researched tomorrow. Today, our VPA2019 recipients visited Historial de la Grande Guerre and participated in an artefact workshop. 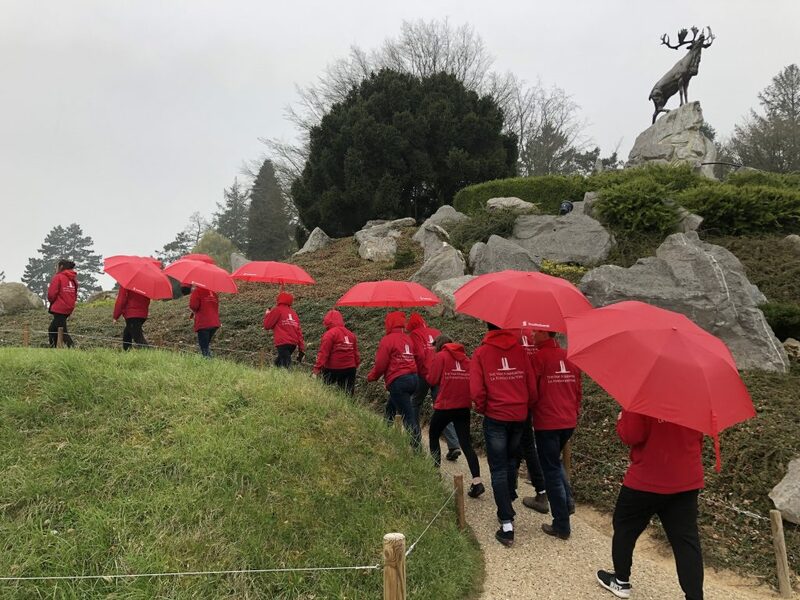 In the afternoon, they toured Beaumont-Hamel with Canadian guide Miriam from Veterans Affairs Canada and visited Thiepval, the Courcelette Canadian Memorial, and the Lochnagar Crater Memorial. Read the students’ posts here. (Please note: participants will blog in their language of preference). Over the course of this program and especially today, something has struck me: how peaceful it is here. For a place that was once in ruins, one hundred years later seems virtually untouched- with the exception of the evident scars. While we were at Beaumont-Hamel, however, it was calm and peaceful. Yet this is the location of one of the bloodiest battles in history. I was in awe of the contrast presented in front of me. How different the area now is; I couldn’t believe my eyes when realizing the full extent of this site. How many lives were lost in just a small area. I had to stop and take in the reality of what this place was and is. The sacrifices that were made here, and the terror that reigned in this area. After remaining in this mindset, I was interrupted by a peace and calm once again. It made me reflect on how symbolic Beaumont-Hamel is. Could it truly be a peaceful resting place for the fallen of the most horrific battle? The irony of it stands out, though it also brings it all together. In the midst of where there was once terror and warfare there was a peace that surpassed understanding. Visiting Beaumont-Hamel today was nothing less than incredible. Learning of the approximately eight hundred Newfoundlanders who were killed, leaving a whole generation left without men, lead to both tremendous benefits and brutal curses. The men who died at Beaumont-Hamel brought into my mind some of the social and cultural shifts that took place throughout this time period on the home front. The shift that affected me the most, due to all the women in my life, was that with all the men gone, women were forced into the factories. While this change didn’t immediately change the prevailing sentiment at the end of the war, it did lay the backbone for the future women’s rights activists for the cultural shifts to come. However, this tremendous advancement didn’t come without tremendous sacrifices – the loss of the sovereignty of a nation. As Newfoundland was unable to overcome its mass human losses due to its relatively small size, it faced incredible economic pressure to give up its sovereignty, inevitably leading to its induction into Canada, which opposed the beliefs of many native Newfoundlanders at the time. These emotional explorations and cultural revelations, through both the ups and downs, lead to both emotional and intellectual changes within me, that I hope to be able to take advantage of in the future. This morning, our VPA 2019 recipients visited the Mons Memorial Museum where they received a tour from the museum’s curator Mr. Rousman. Afterwards, they visited St Symphorien Cemetery where George Lawrence Price, believed to be the last Canadian soldier killed during the First World War, is buried. In the afternoon, the students travelled to France and visited Bourlon Wood Canadian Memorial and the South African Memorial Delville Wood. Read the students’ posts about their experiences. (Please note: participants will blog in their language of preference). Le moment qui m’a le plus marquée aujourd’hui est la visite du cimetière de Delsaux Farm, où Keneisha a présenté Private Vincent Carvery au groupe devant sa tombe. Ce soldat noir a vaillamment combattu pour l’armée canadienne durant la Première Guerre mondiale. Devant sa pierre tombale, Keneisha a lu sa biographie, puis lui a récité un poème qu’elle avait composé. Le contexte social durant lequel Private Carvery s’est engagé était horrible et sa volonté de servir un pays qui, pourtant, le rejetait m’ont tous deux touchée. Quel bel hommage lui a-t-elle fait! Voici une des strophes qui m’ont touchée le plus. Depuis le début du programme, j’ai été impressionnée par la connexion que tous ont créée avec les soldats qu’ils honorent. Je crois que ce qui a rendu la présentation de Keneisha si spéciale, c’est la proximité qu’elle semblait avoir avec Private Carvery. Il m’a semblé inconcevable qu’un soldat noir puisse se voir refuser d’entrer dans l’armée seulement à cause de sa couleur de peau. J’ai alors compris que la guerre à l’époque n’était pas seulement entre les tranchées sur les champs de bataille d’Europe, mais aussi entre les membres d’une même nation. Cela rendait certainement les atrocités de la Grande Guerre encore plus intenses pour certains groupes de personnes, faisant face à la fois aux bombes et à la discrimination de leurs pairs. The land and geography of the Ypres Salient had the most impact on me. Although the Second Battle of Ypres and the Battle of Passchendaele took place two years apart, they were fought on nearly the same land. The Ypres Salient was a small area of land controlled by the Allies surrounded on three sides by the Germans lines. The German occupation of the hills gave them a strategic advantage: they were able to see any Allied advance and could shoot into their reserve lines. When you walk on the Ypres Salient, you must remember that this land was fought on for four years. During these four years, there was a Christmas Truce, the use of chlorine gas for the first time, the Allied bombing of Hill 60 and the Caterpillar and the suffering in the mud at the Battle of Passchendaele. Over the years, the Ypres Salient has slowly recovered from the war. Now, it is rich farmland with few scars of battle. This land that we were walking on was once a desolate, mud covered wasteland of fighting. Every step I took, I knew that I might have been standing where a soldier once took his last breath. I was walking upright without fear, something that would have been impossible during the First World War. Standing in the St Symphorien Cemetery, I felt a presence that wasn’t like any other cemeteries we previously visited. A happy medium- both sides of the war lay peacefully in close proximity to one another. Standing in one row of headstones, I saw one commonwealth soldier who is believed to be the first to die in the First World War on one side of me and one of the last commonwealth soldiers killed on the other. In another section, I stood only a few feet away from both German and commonwealth soldiers. Both laid next to one another, not divided but rather united. As we walked around in complete silence, there was a calmness that was present. My surroundings were beautiful. The twisted paths gave an additional level of uniqueness. The silence made everything seem peaceful as I could hear the birds chirping and the wind was lightly blowing as if to make sure I didn’t overheat. It’s hard to imagine that over one hundred years ago, these two groups were fighting one another and now, they lay in peace next to eachother. As I sat in the cemetery completely quiet, I knew I would never find anything else like this. Still in the Ypres region, the 2019 VPA group toured the Ypres Salient with our wonderful guide Roger. Sights included Christmas Truce Memorial, Hill 60 and the Caterpillar, Tyne Cot Cemetery, St. Julien Canadian Memorial, and Langemark German Cemetery. In the evening, the students participated in the Last Post Ceremony at Menin Gate as Gillian, Navjot, and Joon laid a wreath to commemorate the fallen. (Please note: participants will blog in their language of preference). The poem “In Flanders Fields” is known by people from all over the world. Maybe it’s because of the descriptive language used to describe the horrid sights of the war. However, regardless of the reason behind the popularity of this poem, the one thing we can identify for certain are the words in the poem remain the same. The perspective we have on what the words mean and signify, however, differ. At the Menin Gate ceremony tonight, the song “In Flanders Fields” was sung by a choir. I noticed that it was performed differently by this group of students than the choir of which I am a member of. This evoked a thought that led me to form an interesting analogy. Even though the words of the song remain the same, there are so many different ways in which they can be sung. Just as the soldiers in war, the different groups, whether they be the allies or central powers, had contrasting experiences due to their location and varying perspectives. Yet, they were all fighting for similar things: their families and countries. Just as the words of this well-known poem, the reason these people sacrificed their lives by participating in the war effort is quite the same. When talking about history, the opposing armies are often described as fighting against one another, when in reality they were fighting for a common goal. This was a great epiphany for me which is one of the reasons the ceremony at Menin Gate was so important to me. For me, the most moving and impactful experience I have had exploring Belgium would probably be visiting the German war cemetery Langemark. This had a powerful impact on me as it showed that the Belgians found a good balance between respect and condemnation. The Belgians were able to lease their land to the Germans so that the Germans can properly bury their casualties. While that respect was shown, they also tried to condemn the Germans actions by only letting the Germans have a modest location for their burials. Another vital take-away I got from visiting this cemetery was how most of the soldiers were just like me, with the exception of the year they were born and the circumstances in which they were born into. I very well could have been of German descent and could have fought in the great war. Many of these soldiers were close to the same age as me, which really opened my eyes to some of the emotions these soldiers were faced with. I know if it were me, I would feel very uncertain and scared, not knowing if I would see tomorrows sunset. As I marvelled at the beauty of the red and white flowers of the wreath I was carrying, the buglers played familiar notes. This evening, at the Menin Gate, the Last Post warmed the hearts of many. Myself and two others were given the opportunity to lay a wreath on behalf of the Vimy Foundation. The entire ceremony was amazing. A choir sang as we laid our wreath alongside other wreaths from other countries and educational groups. It was a great honour and it allowed me to show my respect to three soldiers from my community who are commemorated on the Menin Gate. One soldier in particular, Private Augustine John Fehrenbach, drew many emotions. A family from my home town lost their great uncle in the First World War and never had the opportunity to visit his name. Knowing how happy and grateful the family would be if I returned with a rubbing of his name, built my hopes. I knew the odds of being able to reach his name were slim. However, I was very pleased that I was able to reach his name. Upon finding Private Fehrenbach on the wall, I was so overcome with emotions of all sort that I began to cry. I was speechless and even though I had shared no personal connection with this soldier, I was honoured to take a rubbing of his name and I am very excited to return my rubbing to his family for them to cherish. Tonight, I was very proud to lay a wreath on behalf of the Vimy Foundation, Canada, and for Private Fehrenbach. On our first day of this program, our chaperone, Sara, asked us to think of one word that we would use to describe the First World War. I chose “meaningful” because the war has changed our world in so many ways. Today, we saw the Christmas Truce Memorial. One of the ways this was meaningful was because it showed that these men were not just people who fought in the war, they were human beings that had families and loved ones back home. This also showed that the war wasn’t always about killing and winning. When our tour guide, Roger, was talking to us about this site, he said that the soldiers’ trenches were so close to each other that they could hear what the other men were saying to each other. The men also tried to make the Christmas Truce happen by missing their shots of their guns or telling the other soldiers that someone would be coming and where to go for safety. This site was very meaningful today to me because I realized how much of the war I didn’t know. This is why I chose the word meaningful for our first day of the program and I will see this time and time again. Today in Belgium, our VPA 2019 recipients visited John McCrae’s Dressing Station where Emma and Theo read the well-known poem In Flanders Fields. Later, they toured the Passchendaele memorial and surrounding cemeteries. 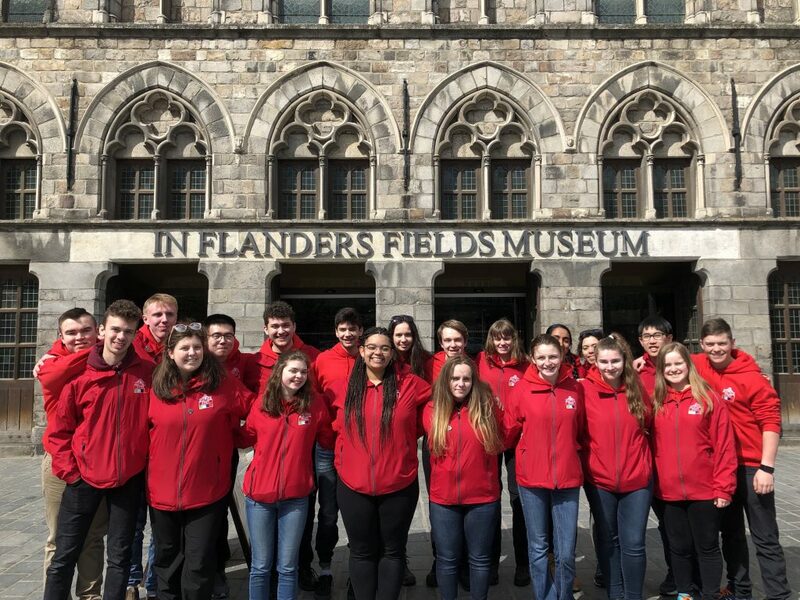 In the afternoon, they visited the In Flanders Fields Museum, located in the Cloth Hall, and climbed the 231 steps of the Cloth Tower to see the magnificent views across the Ypres region. (Please note: participants will blog in their language of preference). Today was the first day on the program that we got the chance to set foot in cemeteries and on battlegrounds of the First World War. The emotions that I experienced while visiting these sites was something I never could have prepared for, and the atmosphere at each site was indescribable. It was a beautiful sunny day and each location we visited had birds chirping which I thought really contributed to the environment in each site. We visited the Maple Copse Cemetery where my great great uncle Bud is known to be buried. His grave was in a beautiful location that was especially moving as it was very secluded and felt very peaceful. We walked down a pathway before the cemetery could finally be seen, and the site had a very nice archway that we walked under to get to the graveyard. Shortly before his death, my uncle Bud had written home asking his mother for a warm pair of knit socks- but he never lived to receive them. 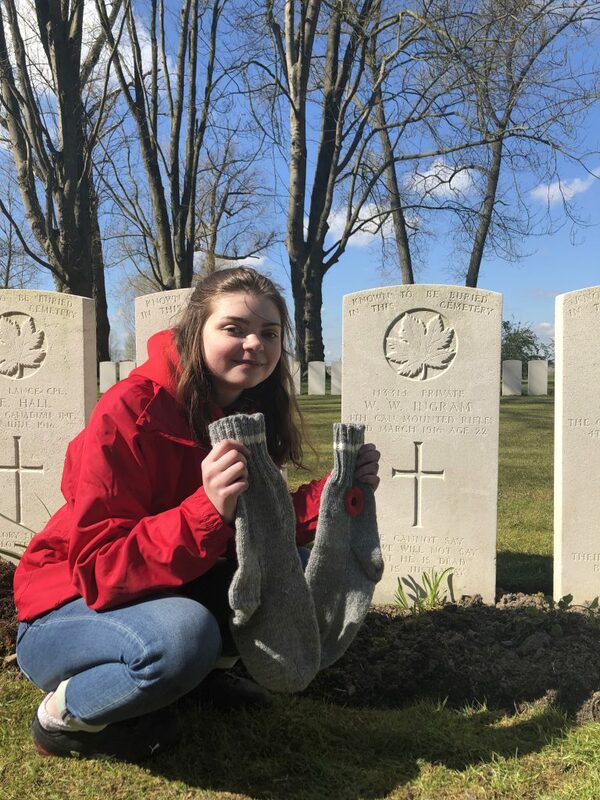 I brought a pair of socks that I knit in memory of my Uncle Bud, and though it was a century too late- I was very honoured to be able to lay these socks at his grave. Le premier cimetière où nous sommes allés était au poste de secours de John McCrae. Nous étions donc entourés d’anciens cimetières et de champs de bataille. Aujourd’hui, il n’y a que des fermes et des maisons, il n’y avait presqu’aucun bruit, seulement le bruit du chant des oiseaux et des automobiles. Tout était vraiment beau et paisible. Le soleil était haut et éclairait chaque tombe, il en avait beaucoup, comme s’il voulait les réchauffer. Je me rappelais des images de guerre et comment la guerre avait l’air d’être le contraire de beau et paisible. C’était impossible pour moi d’imaginer que la paix et le silence de cette petite place étaient autrefois dérangés. Les images de la guerre sont en noirs et blancs, mais ce cimetière était réel et en couleur, et c’était très difficile d’imaginer la guerre en couleur, et de réaliser qu’à l’endroit même où je lisais Au champ d’honneur, plusieurs personnes étaient mortes. Tout ce qui avait autour était des fermes et des maisons. Comme si la vie après la guerre et les générations suivantes avaient reconstruit autour de la guerre. Et c’est une des choses qui m’a surprise le plus; à quel point les traces de la guerre sont encore très fraîches en Belgique. Lorsque nous traversions en autobus les villes, ce n’était pas rare de voir des cimetières entre deux maisons ou entre deux fermes. J’ai trouvé ça vraiment intéressant, mais aussi plutôt intriguant. Ça m’a guidé à une question sur le roulement de vie des Belges. Comment font-ils pour ne pas succomber à la pression de l’éternelle dette de la Première Guerre mondiale, sans toutefois tomber dans l’ignorance du Souvenir? Today was a very moving and emotional first day. We visited many historic sites, including the Menin Gate. The Menin Gate includes the names of over 54 000 soldiers who died before August 16, 1917 and who have no known grave. This commemorative structure included so many names and is so vast that many within our group, including myself, became emotional. After having a group discussion, we then all broke up into smaller groups to discuss the significance of Menin Gate, as well as our thoughts on the day so far. This discussion was insightful and meaningful to me. The chaperon led the group discussion and, at one point, I was able to reflect on the significance of viewing historical sites in Belgium and how that is more effective and impactful than just reading about it. I began to reflect on the people of Belgium and how ingrained the First World War is in their culture. Truly, from someone walking on the street to a tourist guide in a museum, everyone in Belgium is informed of the First World War. Being immersed in this kind of environment makes learning and remembering the war much more meaningful. I cannot wait to see what the rest of this program has in store!